Iceland earned a massive point on their World Cup debut showing a fabulous defensive performance against Argentina. Nigeria provided nothing in the final third against Croatia. 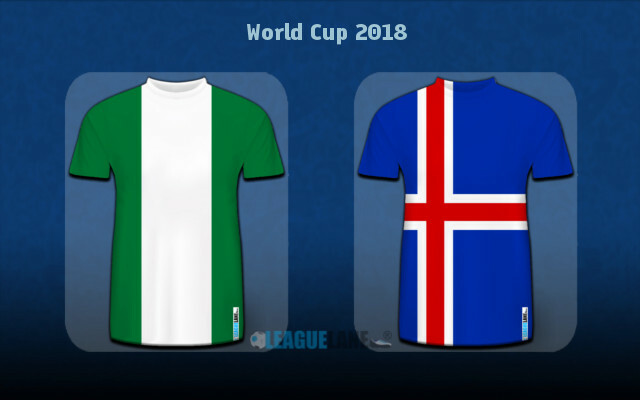 The Super Eagles will certainly find it tough to break Iceland’s rock-solid defense when two sides take on each other for the first time in history. Iceland made a glorious World Cup debut by holding the likes of Argentina to a 1-1 draw on Saturday afternoon. Can they build on such result to pick up the historic maiden victory at the competition on Friday when they take on Nigeria at Volgograd Arena? Head coach Heimir Hallgrimsson can be proud of his team’s magnificent defensive performance against one of the event’s favourites Argentina. His back line had to handle the star-studded attack of La Albiceleste’s led by Lionel Messi and Sergio Aguero, but they’ve done a fantastic job conceding just once in 90 minutes. The fully-recovered Augsburg striker Alfred Finnbogason did his part of the job returning Caballero’s deflection back into the net just four minutes after his team was broken down helping the Scandinavian debutants save a point against the strongest outfit in the group. Nigeria stand next up for them in what should be a much easier fixture for the European hopefuls. The Super Eagles disappointed heavily in their opening affair falling 2-0 to Croatia in a match which saw no shots on target before the hour-mark. Oghenakaro Etebo was unlucky to put the Croats ahead scoring an own goal 15 minutes before the break, while Luka Modric doubled the lead for the Balkans side late on converting the penalty-kick. Victor Moses was the only one who actually tried to do something up front, but he could have not done much against the stern defensive line of Croatia’s on the day. Gernot Rohr does not have plenty of options for changes after the poor display in the first game. He will likely use the same starting line-up from the match against Croatia. Odion Ighalo is still favoured to lead the line over Kelechi Iheanacho. Heimir Hallgrimsson does not have a reason to change anything from the first match against Argentina. Everton’s Gylfi Sigurdsson should get more room to be creative up front, though. He’ll start right behind Alfred Finnbogason who scored team’s maiden goal at the competition. The two teams are about to lock horns for the first time ever on Friday. The loss to Croatia made it three on the bounce for Super Eagles following defeats to Argentina and France four years ago in Brazil. The clash with Iceland should give them a fair chance to see an end to such run. Rohr will hope to avoid own goals this time out as the team conceded two subsequent own-goals at the competition if we count the one from the last 16 round four years ago against France. We expect a close contest with very few goal-scoring chances at both ends here. Both managers fancy a disciplined defensive-minded approach and even though the draw will not be much of a help for either side, we see it as the most likable of three outcomes here. You can back it at the odds of 3.20. Under 2.5 goals FT should really be a banker bet at 1.53, while you can also back low number of shots in the game overall. Predicted Full-Time Result is a goalless draw in what is expected to be a very tight affair at Volgograd Arena. Under 2.5 goals FT @ 1.53. Correct FT Score: 0-0 Draw @ 7.00.